Posts by tag "Salisbury Plain"
Snow is here & a while ago we asked around for people’s favourite sledging spots. Here’s the feedback..... 1. Cherhill Monument near Calne – watch out it can be very fast in places! You can also see one of Wiltshire’s White Horses while you’re there. 2. Bradford on Avon golf course has been frequented by some mini thrill seekers. 3. The hill above Alton Barnes on the Pewsey Downs is not for the faint hearted. Hold on to your sledges. 4. Head to Heaven’s Gate at the top of Prospect Hill and enjoy the views across the parkland of Longleat and Longleat House before you jump on. 5. Closer to Swindon? 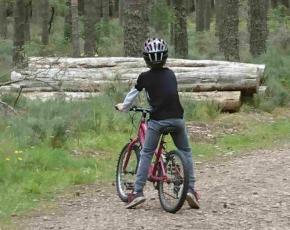 Try Coate Water Park, Liddington Hill or the Lawns Woods in Old Town. 6. If you’re in Chippenham head to Monkton Park. 7. Locals love Treacle Bolley in Marlborough or try corner field off the London Road. 8. If you live near Salisbury Plain Widdington Motorcross field at Widdington Farm near Upavon gives a good ride. 9. Take in history while you sledge at Avebury. Going between the stones can be terrifying but it’s easy to stop at the bottom of the hill. 10. In Malmesbury the place to go is The Worthies - near the entrance to Reeds Farm, opposite the Co-op and below the cricket club and another great spot opposite Willis Brothers at Cowbridge (on the B4042). 11. Bratton Alps is popular amongst locals. Go up Stradbrook into Imber Road for fantastic sledging. 12. TAKE NOTE: No sledging trip is complete without a cup of hot chocolate waiting at home at the end & be careful! Got some more suggestions? 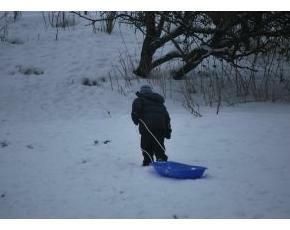 We really want to hear about good sledging spots nearer Salisbury, Westbury & Tisbury area. Email us on hello@localuncovered.com and we’ll add them in. Here’s our suggestions on some resolutions & what you should be aiming to see & do in 2018 to make the most of this beautiful county. Plan for one a quarter and you’ll find it incredibly achievable and rewarding! 1. Our environment is in a fragile state but it’s not that hard to all do our bit to help. You can reduce your impact on the environment - use less plastic - buy beeswax wraps, take your coffee cup with you to avoid using disposable coffee cups, buy bamboo straws, wooden toothbrushes. Buy produce from local companies rather than supermarkets to avoid all the supermarket packaging. Local Devizes company Meadow in my Garden make wild flower seed mixes that encourage pollinators to gardens and sell animal homes for some of our precious wildlife. You don’t need to have a big garden for wild flowers & they not only look stunning but also help our busy bees, butterflies and ladybirds. They’re also looking for volunteers to help fill public spaces with wild flowers. Get in touch if you think you can help. 2. Look at your grocery list and think what you can source locally – there’s so much fabulous food & drink available right here in Wiltshire. Visit your local butcher or become a regular at a Wiltshire Farmers Market so that local always makes its way onto your table. We are also setting up a Food Assembly in Marlborough putting locals in touch with local food so sign up to hear when it launches. You shop local produce online and go to the same venue every week to pick it up. If you feel like a tipple look no further than The Wiltshire liqueur Company – also fabulous ingredients for any recipe. It not only supports your local economy but when it hasn’t travelled it’s better for the environment and tastes better too! 3. Experience some of the amazing pubs & restaurants in the county - It’s important to support your local pub & restaurant, but once in a while it’s worth going further afield. In Wiltshire we have The Good Food Guide’s best dining pub in the country - The Michelin Starred Red Lion, East Chisenbury. Winner of the Wiltshire Life best pub in the county in 2017 is The Swan in Enford. Don't miss The Three Tuns, Great Bedwyn described by Tom Parker Bowles as ‘Three steps to foodie heaven’ & recently featured in The Telegraph as one of Britain's cosiest pubs, The George & Dragon in Rowde with their fabulous seafood & rustic luxurious rooms with a touch of Soho House, The Michelin starred Harrow at Little Bedwyn which has been AA and Decanter’s Restaurant of the Year amongst other accolades, and The Wheatsheaf Chilton Foliat where local sourcing is at the heart and was recently shortlisted in The Sustainable Restaurant Association's Food Made Good Awards. For a casual lunch or for the best coffee try the lovely Sticks & Stones in their lifestyle shop in Woodborough. For a healthy treat pop into the Cafe at Well Natural in Salisbury. 4. Regular bracing walks are a great way to stay fit. 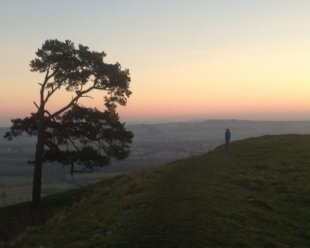 Visit a new part of the Wiltshire countryside & walk somewhere new – there are stunning walks from the North Wessex Downs to the Nadder Valley. Our members have lots of top tips on things to do – whether it’s walking the ancient Ridgeway, an invigorating walk across Salisbury Plain or a walk around Fonthill Lake near Tisbury you’ll be pleased you ventured there. 5. Look after yourself. Our wellbeing members will help you get on the right track in the New Year. Love Food in Marlborough is launching Love Food to go - healthy nutritional meals for delivery and Nordic Walking instructor Ashley Sandy can help you get fit and have fun while exploring the beautiful outdoors and is offering ski fit classes to get you ready for the slopes. If you know someone struggling with life encourage them to try new things - dance psychotherapist Gyidance might be able to help. 6. Make it to at least one of Wiltshire’s events or festivals. Racehorses have been trained in Wiltshire for over a Century so have fun watching Barbury Races – a great day out for all the family. Kick off your shoes at a music festival or there are plenty of Arts Festivals around the county - Salisbury, Trowbridge & Devizes and fabulous theatre at Illford Arts Festival near Bradford on Avon. Marlborough have a literature festival & there are plenty of Food & Drink Festivals throughout the summer. See our events calendar. 7. Take in one of our national treasures – Stourhead near Mere is the second most visited National Trust Property. However, there are plenty more to choose from – Avebury (the ‘better’ stone circle), Lacock Abbey, Wardour Castle near Tisbury, Great Chalfield Manor and Garden (featured in ‘Wolf Hall’), The Courts Garden in Holt or Old Sarum near Salisbury. And don’t forget the marvellous Salisbury Cathedral and Malmesbury Abbey or Castle Combe, said by many to be the prettiest village in England or The Merchant's House in Marlborough to see how a wealthy 17th Century Merchant would have lived. 8. Learn something new - how often do you wish you could do something better? There are plenty of places offering courses – Marlborough College Summer School has every course you can imagine and it’s a fun way to spend a week. Organise a nutritional cookery course at your home with Love Food. 9. Don’t always default to Amazon – if you’re looking for a gift or new items for the home stop and think if you could buy from a small local company. You’ll be amazed at the unique things available as well as how affordable they are too. We have lots of gift ideas for both him and her so check those out before going global! And lots of ideas for the home too. Here's to a fabulous 2018! t’s really getting festive so we thought we’d ask around for people’s favourite carol singing & concerts happening around the county. Nothing gets you in the spirit quite like a good old sing song! 1. If you’re looking for a spectacular venue then head to Salisbury Cathedral for BBC Wiltshire carol service on Saturday 16th December at 5.00pm to 6.30pm or the Carols by Candlelight on 22nd & 23rd December at 7.00pm. 2. The popular Imber Festival of Carols at the deserted village of Imber on Salisbury Plain at 2.30pm on Saturday 23rd December. Places are limited to 250 so get your tickets early. 3. Enjoy carols in the beautiful surrounding of Malmesbury Abbey – the Youth Action Wiltshire Carol Service is on Friday 8th December at 7.00pm or ‘Nine lessons & carols by candlelight’ on Sunday 17th December at 6.30pm. 4. Set in the stunning Marlborough College Chapel is a Christmas Carol Concert in aid of Hopes and Homes for Children. A great way to kick off the holiday – Saturday 16th December 4.00pm – 01672 562777 for tickets. Performers include the Great Bedwyn Millennium Choir, Blue Belles, Luana Godwin and Fiona MacArthur. 5. 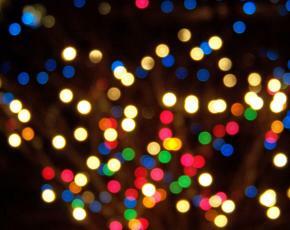 For a magical Christmas evening head to the Christmas Concert at St John's Church, Devizes on 16th December at 7.00pm. Raising money for Dorothy House it's a real mix of music and has something for everyone. Or for something more casual head down to The Southgate Inn on 18th December from 8.00pm for beers & carols. The Devizes Town band also plays carols in the Market Place on 2nd December from 10.00am to 1.00pm and at the Mayor's Carol Concert in the Corn Exchange on 6th December at 7.00pm. Both get you in the festive spirit. 6. If in Box there's an evening of carols, poems and fun readings called 'Celebration' at the Methodist Church in Box on Saturday 9th December at 7.30pm. There'll be a retiring collection for Wiltshire Sight. 7. If you're near Tisbury this free event at Messums Wiltshire sounds wonderful. On Friday 22nd December at 6.30pm leading sound artist John Del’ Nero and composer Orlando Gough are creating a soundscape about the history of Tisbury and the 13th century barn using sounds they have recorded locally. The piece will include speech and song along with natural and mechanical sound. Take part in a unique social and interactive event for all the family - The bar will be open for mulled wine, warm drinks and mince pies and there are carols by Tisbury Community Choir. 8. A visit to the beautiful stones of Avebury could be followed by a concert by Avebury Vocal Ensemble at St James on Sunday 10th December. 9. Join the Seend Singers at Cleeve House, Seend for Christmas Carols on Monday 11th December at 7.30pm in aid of Wiltshire Young Carers. 10. On Saturday 16th December the Rotary Club Concert is on at St Andrew's Church, Chippenham. Featuring the Colerne Military Wiltshire Wives Choir and the Wiltshire Police Band and hosted by Amanda Parr from BBC Points West. Tickets £10. 11. Pop into Pewsey Fire Station on Saturday 9th December for carols from 5.30pm to 7.00pm 12. The Military Wives Choir from Tidworth, Upavon and Warminster perform 'Home for Christmas' as part of their UK tour at St Michael's Church Tidworth on December 16th at 7.30pm 13. The George & Dragon in Rowde are holding Christmas Carols on Sunday 17th December at 4.30pm 14. The Christmas Tree Festival Concert is full of carols at the Holy Trinity Church in Bradford on Avon at 7.30pm on Friday 8th December or head to St Margaret's Hall on 17th December at 6.00pm 15. In aid of Julia's House is the German Christmas Carol Evening on Wednesday 13th December, 7.00pm to 9.00pm at Southwick Village Hall. Got some more suggestions? Contact us on Twitter or Facebook or email us on hello@localuncovered.com and we’ll add them in.